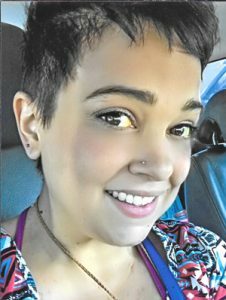 Jewelia Koch, 33, passed away Aug. 30, 2018, in Chicago, Ill. She was born in Goshen to her parents, Sandra (Kyle) Circle of Fort Wayne and Charles (Tami) Harris of Syracuse, who survive. Jewelia loved caring for her family as a homemaker, including demonstrating love as a foster mom. She also was a member of the Parent Association at Elite Dance Center. Jewelia is survived by her husband, Justin Koch of Fort Wayne; her children, Jasmyn, Catalaya, and Inna; siblings, Dustin Garner of Goshen, Ashley (Keith) Bird of Altoona, Pa., and Clark Garner and Alison Garner, both of Fort Wayne. Service is 10 a.m., Wednesday, Sept. 5, at Fairhaven Funeral Home and Cremation Services, 6557 N. Clinton Ave., with calling one hour prior. Calling hours are also Tuesday, Sept. 4, from 4 to 8 p.m. at the funeral home. Memorials may be made to the family.